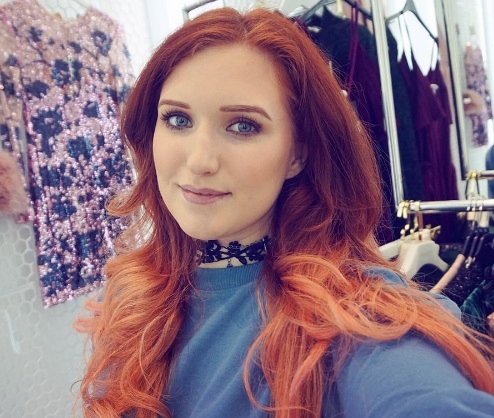 A few weeks ago I had the pleasure of attending a fantastic blogger event at a local salon. The recommendation already proceeded Sixth Sense Salon as fellow blogger and event extraordinaire Ting had already recommended them to me a few months prior for their inventive colours. When she invited me along to a preview of the refurbished salon and a complimentary treatment, I said a delighted yes please! I don't really have a regular hairdresser as my previous favourite has moved to a salon a little outside of town now, and as happy as I was with the colour, I can't justify the price of a Nicky Lazou balayage unless I went back to a more natural colour. Off I trouped after work to my old school town of Sutton Coldfield and right by the train station (and near US beauty mecca Cocktail Cosmetics) was a red carpet leading into Sixth Sense. Bloggers with bubbles in hand meant I was at the right place, and I was greeted by staff members and blogger babes a plenty. When an event hasn't even started and already everyone is chattering and snapping away, you know it's going to go well. Sixth Sense has a completely different vibe to any salon I've visited before! You know my hair is my thing, or at least it was my thing. I have strayed away from my natural colour and while I haven't masked it completely, I'm in a real rut. My balayage has grown out, my layers are long and I needed some drastic advice. While I've had roots and cuts at local salons across the city, I really want someone to actually care about my hair and not be rushing off for a lunch break or suggesting to slap on dark grey dye over a colour mistake (a recent happening!). Sixth Sense is a family in tune with every aspect of a salon experience. Owners and partners Dean and Dean introduced every single member of the team and their role in the business, and explained the ethos behind the salon makeover. Business-head Dean revealed all of the on-going work with local cancer patients, trialling new treatments for hair growth after chemotherapy. This was a journey for all involved as the salon were keen to explore and nurture how they could build a relationship with women going through that change and how they could offer their specialism, with training from oncology nurses too. All of the endeavours and features of the salon are customer-led and experimental, and it goes beyond pulling customers through the door on rotation. The murals on the walls are by a local graffiti artist and the mantras dotted around are just as personal to the owners as they are inspirational. Could there be more personality?! The salon is hot to apply for every award, training and innovation, and a company that invests so much into all of their staff members meant I felt any stylist I had would be striving towards that high standard. Luckily for me my stylist was salon director Dean himself! We tried the new System Professional Energy Code assessment to choose my most suited products, and of course a hair oil featured in there to feed my parched locks. Such a unique highlight is the new treatment room, aka the spa room from heaven. It's like the salon took the hairdressing rule book and ripped it up. Gone is the bustling side room and on offer is a serene spa sanctuary with a Santorini mural, ambient lighting and soothing spa tunes. It's like another world in there! I absolutely love and need well-being in the form of massage, facials and now it looks like a trip to the hairdressers can be a stress reliever too. Bliss! After a hair wash lying back in a custom massage chair - yes, really! - it was time for another Bellini and a fabulous, bouncy blow dry that lasted the week. It's no doubt Dean is an absolute pro but the finishing touches to the front of my hair as he framed it carefully around my face really made the difference. And look how fabulous everyone's hair looked! There were glossy curls taking over the town that night and we were buzzing from the uplifting experience. We all had to pull a cheesy pose in honour of Sixth Sense, just like those dotted around the salon of the team. As you can see, my balayage has really grown out so I have booked myself an appointment in June and can't wait to do something new with my locks! Watch this space! Some images credited to Matt Beach Photography.